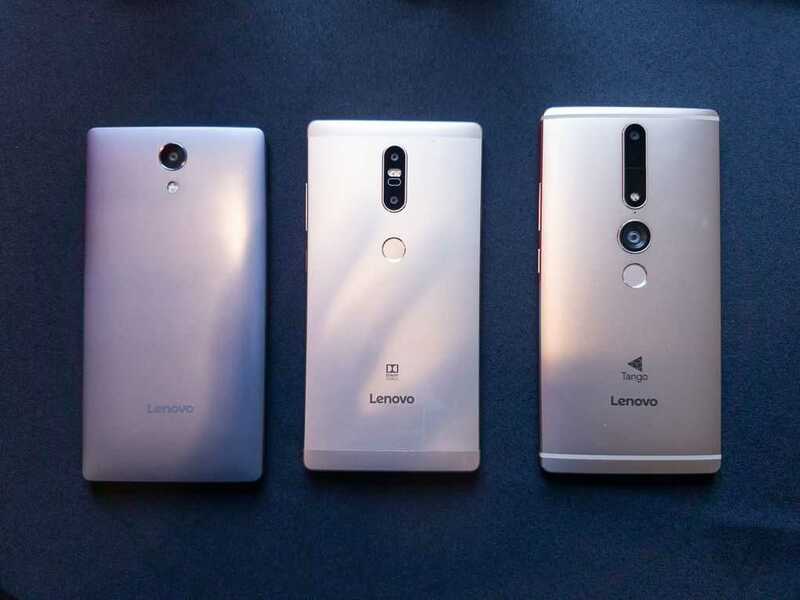 Lenovo has finally come out with the Project Tango smartphone called the Phab2 Pro, which was in the process of being made for a little more than one year. The Tango smartphone follows the tablet that was launched earlier in 2014. Tango offers AR experience that is not obvious but rather disappears and remains in the background. It is very useful for performing many activities in an easier manner. In fact, according to Google, such AR features are the future GPS in a manner of speaking. Tango from Google has now become consumer ready and has arrived with the Phab2 Pro smartphone. It offers indoor mapping and an AR experience to users. The Phab2 Pro is a seam buster at 7 inches of height and 3.5 inches width. The screen is enormous at 6.4 inches, so it is actually a tablet posing as smartphone. However, the marquee feature is the Tango support, which makes it one very interesting smartphone. This offers a fun factor, but there are plenty of practical uses as well, such as measuring an object from a distance or seeing how a piece of furniture would look like in your living room. The smartphone comes in a metal body all over and the color options are gold and silver. The touchscreen has the QHD IPS technology and comes in 6.4 inches. The most interesting feature is that it has four cameras. There is a front selfie camera of 8 MP and a rear camera of 16 MP. In addition, it has one depth camera and another camera for tracking motion at the back. Android 6.0, Marshmallow version, powers the phone. It has a battery powered at 4050 mAh and the phone has the fingerprint scanner. As for the processor, it comes with Qualcomm, Snapdragon, 652 chipset with a RAM of 4 GB and an internal storage capacity of 64 GB, which is expandable as well. The depth sensing and the motion tracking cameras can be used for recognizing a room or an area where it has been before, as the phone is equipped with Project Tango. The cameras are able to map a physical space or track an object, projecting a virtual effect in real world spaces. Users can navigate an indoor space and avail contextual information regarding the objects viewed. Lenovo has also promised a dedication application store for Tango content, which will be shipped with the smart phone. I twill have about twenty-five applications initially and will be expanded to about hundred within a few months. The Phab2 Pro is likely to be available from August in online stores and in regular stores a month later. Best Buy is selling the smartphone in the US and it will be available all over the globe. The price will be around $499 for unlocked devices. Home improvement shops, such as Lowe, will also offer the phone and the device will be use for demonstrations of flooring or furniture, helping users decide how it will look in you house before purchasing a product.